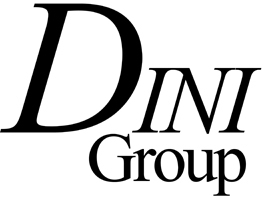 Located in La Jolla, California, The Dini Group is a professional hardware and software engineering firm specializing in high performance digital circuit design and application development. Dini Group products are used by the world’s leading telecommunications and microelectronic companies. Dini Group's FPGA boards for ASIC prototyping and High Performance Computing (HPC) enable high-speed, accurate prototyping and emulation, system and IP design. Dini Group provides the best solution for ASIC prototyping implementations. The Perytons™ analyzers are feature-rich portable tools for troubleshooting and monitoring a variety of wireless and wireline networks and protocols in the lab, and in the field. Perytons analyzers help developers, integrators, and support teams quickly map networks topology, capture activity patterns, make sense of the bits and packets, and identify and resolve problems more quickly and easily than ever before. Enhanced monitoring tools allow local or remote monitoring of operational networks, identifying problematic scenarios, and generating events and alarms.